Coffee Island's concept stems from a single promise: you get the best from what you want. Those wishing to just grab a quick cuppa and go, can do so knowing they will taste delicious, high-quality brews with a palate precision. This is because all beverages served are the cumulative result of specialty coffee knowledge and the usage of items that allow meticulous brewing methods, such as Chemex, AeroPress, syphon and cold drip, among others. It's perfectly engineered coffee that mixes scientific geekiness and a fondness of direct trade with farmers. And if that comes with a yummy pastry on the side, well, that's just divine. For the hungrier there are also fresh, handmade sweet and savoury breakfast options and for lunchtime, a great variety of fresh sandwiches, salads and delicate smoked, cured meat and fish dishes. It all becomes more exciting when you ask the barista for a tour of how to expertly prepare your own brew at the Home Barista Station. 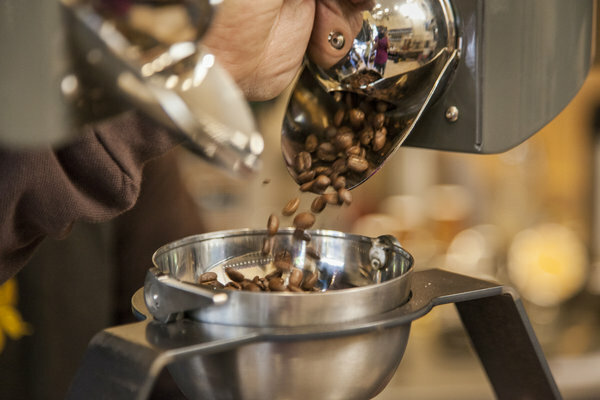 You can be trained on the brewing equipment and then take the rich flavours home by ordering delightfully fresh roasted coffee from their grindery. Coffee making artefacts, beans and blends from all over the globe are available to buy on site. It is the uniqueness of their product and the direct connection with small producers that stands out. You can find out who cultivates the beans available in the shop, how it is grown, picked and dried. Their Microfarm Project, for example, is a seal of quality. Coffee Island searches and reserves microlots of limited edition single origin specialty coffee from small, carefully selected farms. The conditions under which they are grown, picked and processed are unique and cannot be repeated. Thus, it is impossible to reproduce the same cupping profile twice. Bear in mind that the microfarm single origin coffees change every three months to provide a specialty coffee journey. You can find Coffee Island at 5 Upper St Martin's Lane, London.